There are many reasons why you may require storage. 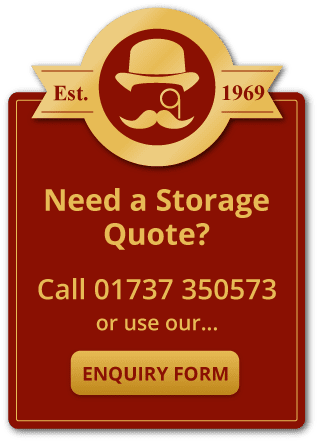 Whether you are decorating or renovating your property and need to make room or you may have a gap between selling your home and buying a new property or you may just want to de clutter but may have things you cannot part with, but do not have room for. There are many types of storage facilities and you need to make the decision what one is right for you. This type of storage is the perfect solution if you do not need regular access to your belongings. Wooden containers are loaded on to a vehicle and are brought directly to your property where they are loaded on site. The containers are packed tightly to make the most of the space and everything is wrapped and protected and then sealed inside. The containers are then transported back to the company’s warehouse where they are fork lifted in to the warehouse and stowed away until you need them back at which time they are fork lifted back on to the vehicle and unloaded again. The major benefits are the fact that the handling of your belongings is greatly reduced meaning less chance of damage. Your belongings take up less room saving you money and the belongings are very secure and protected inside the containers which will be inside an alarmed and secure warehouse.